To order the following manuals, you may use either thewebsite or the phone numbers listed below. Visa, Mastercard,American Express, and Discover orders are accepted. If you prefer mailing your payment, please callfor an order form. NOTE: A street address is required when orderingmanuals (no P.O. Boxes). • Service ManualsThese comprehensive Service Manuals provide theinformation that students and professional techniciansneed in diagnosing/troubleshooting, problem solving,maintaining, servicing, and repairing Chrysler GroupLLC vehicles. A complete working knowledge of thevehicle, system, and/or components is written instraightforward language with illustrations, diagrams,and charts. Diagnostic Procedure Manuals are filled with diagrams,charts and detailed illustrations. These practicalmanuals make it easy for students and techniciansto find and fix problems on computer-controlled vehiclesystems and features. They show exactly how tofind and correct problems the first time, using step-bysteptroubleshooting and drivability procedures,proven diagnostic tests and a complete list of all toolsand equipment. 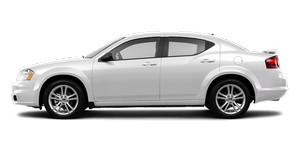 These Owner’s Manuals have been prepared with theassistance of service and engineering specialists toacquaint you with specific Chrysler Group LLC vehicles. Included are starting, operating, emergencyand maintenance procedures as well as specifications,capabilities and safety tips.